NoCount® enables the implementation of the hospital’s overall supply-strategy and allows for the planning of deliveries of products and goods based on actual need. Active management of the demand is basic for a rational supply chain as it enables the hospital to supply an accurate quantity of goods when they are needed. NoCount® as a support application for the internal logistics provides full control of materials from central supplies to the individual department or operating room. The solution adds economic efficiency to hospitals by reducing excess inventory, eliminating losses due to expired items, increasing inventory turns and reducing handling costs due to improved quality and security in deliveries. Moreover, it saves valuable hours spent every day on locating products, and manual replenishment and inventory routines. NoCount® has been specifically designed to support the two-bin (Kanban) replenishment concept, a leading practice recognized internationally in the healthcare sector. 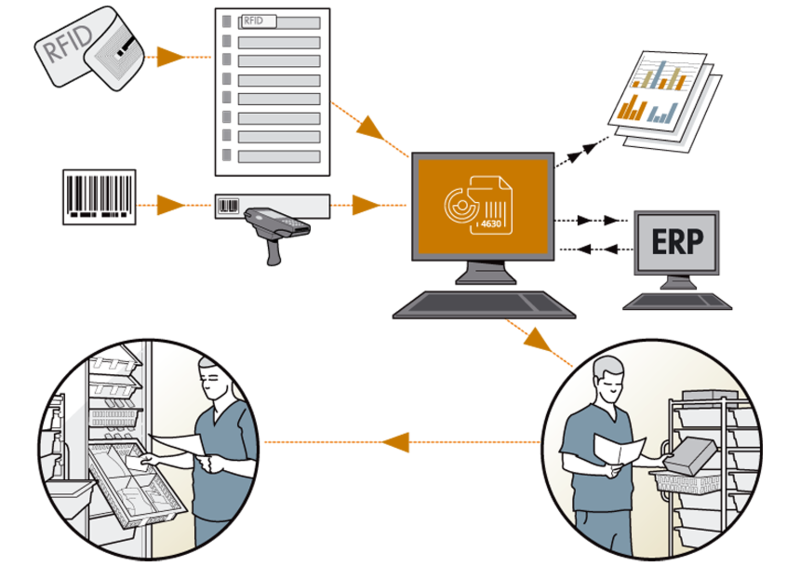 NoCount® is a specialized replenishment software that brings RFID (radio frequency identification) technology to the process of replenishing supplies in hospital departments. Utilizing both RFID and bar code technologies, NoCount® is an ideal data gathering tool used to identify the replenishment needs of the various storage areas while minimizing the involvement of staff from both departments and central supply. The flexibility and scalability of NoCount® allow the system to fit perfectly into the existing logistics infrastructure. Specific logistics support tools are designed to aid supply departments in managing inventory and capturing actual demand. The SmartCabinet offers material managers a very simple-to-use system for automating management of high-quality medical devices, dressing materials and implants in all healthcare areas. For example, catheter labs, operating theatres, ophthalmology practices, pharmacies and clinics. The use of patented RFID technology in combination with point-of-use reporting, allows SmartCabinet to offer hospitals the possibility of precise inventory management in real-time, including information on expiration dates for each individual item. The highly developed cloud-based software allows an exact overview of inventories, the frequency of item use and the respective status of high-quality medical devices across the entire supply chain. 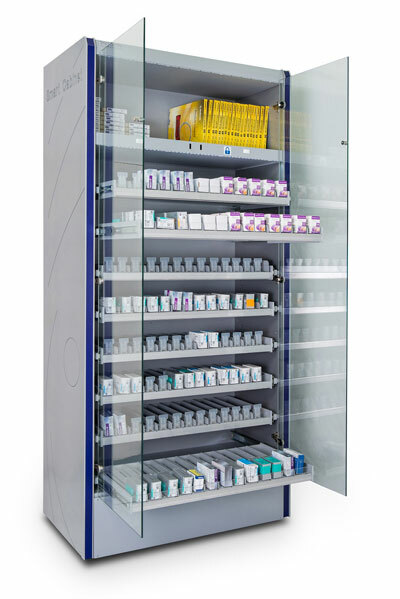 The UHF model allows the management of large quantities of smaller items and makes the SmartCabinet a useful tool in further areas, allowing even the smallest implantable devices to be managed in this way.